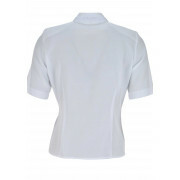 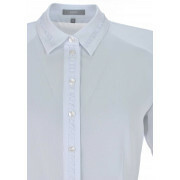 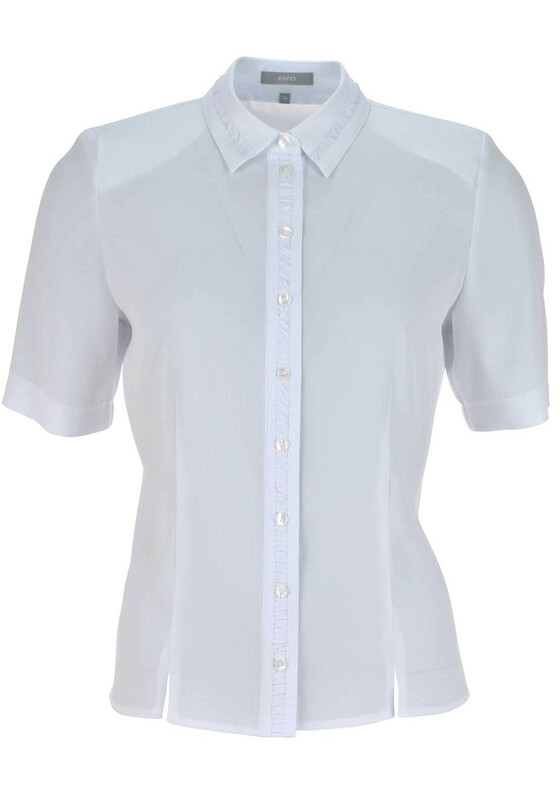 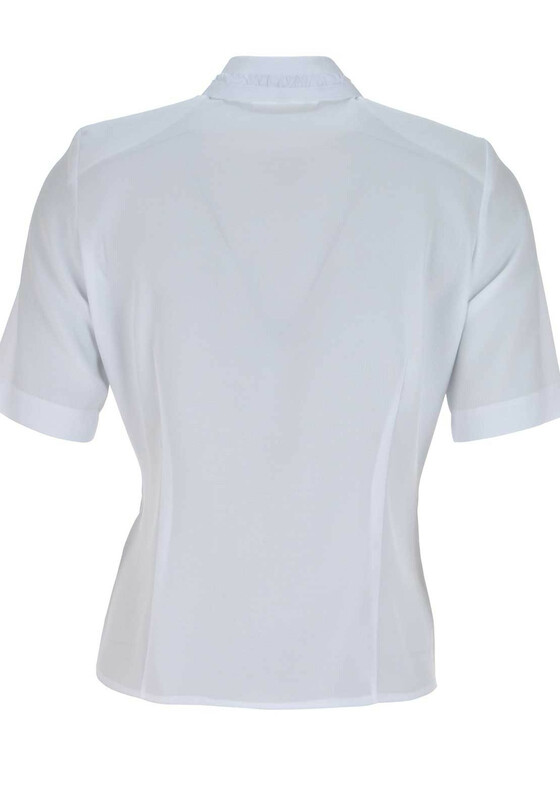 Designed by ERFO, this pretty white blouse is sure to become a staple item in your work wear wardrobe. 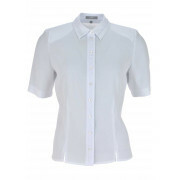 Designed with a basic fit, the simple short sleeve shirt is crafted from textured lightweight fabric with ruffled trim on the collar. 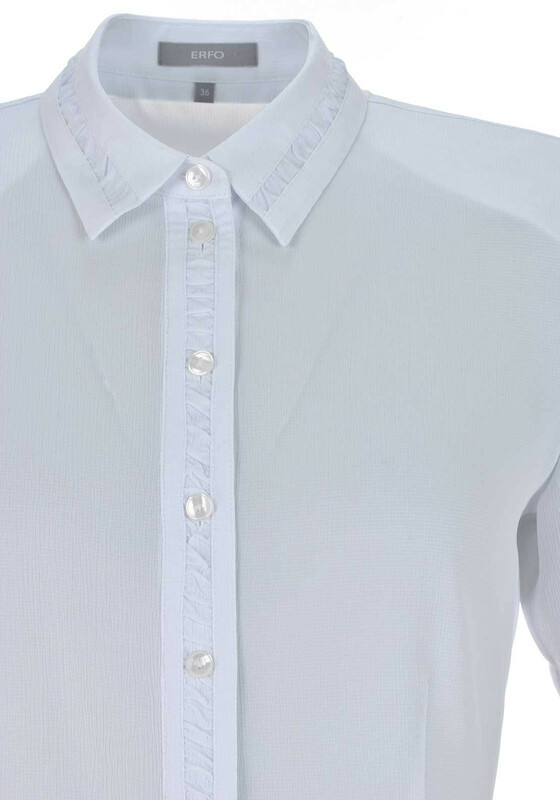 Featuring a full button placket.